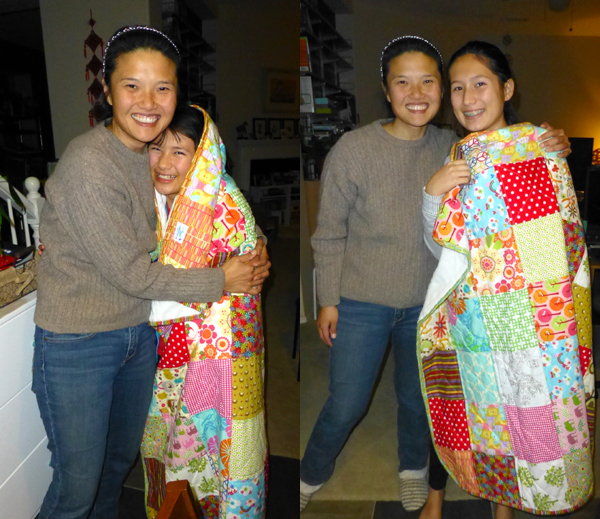 For Christmas this year I decided to make patchwork blankets for my two stepdaughters. 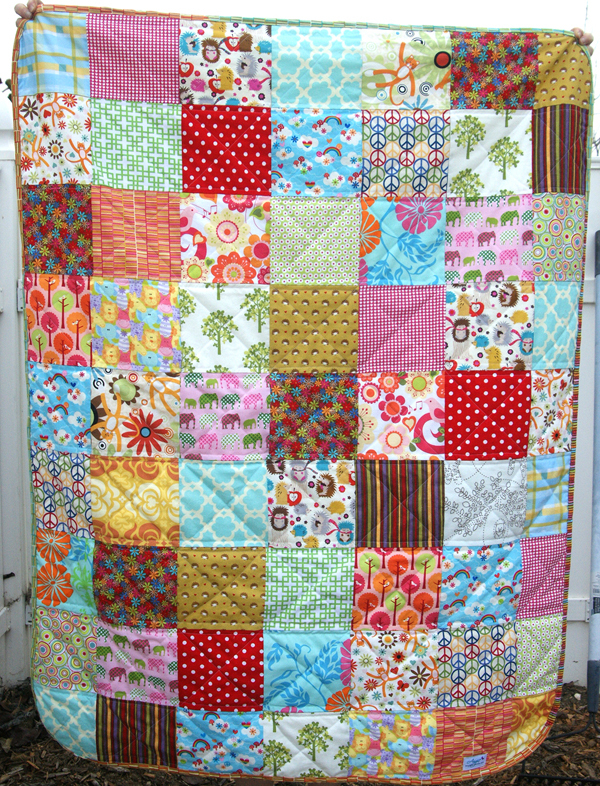 With only a week to do all the sewing I made the squares 7″ to speed up the process of putting the patchwork together. 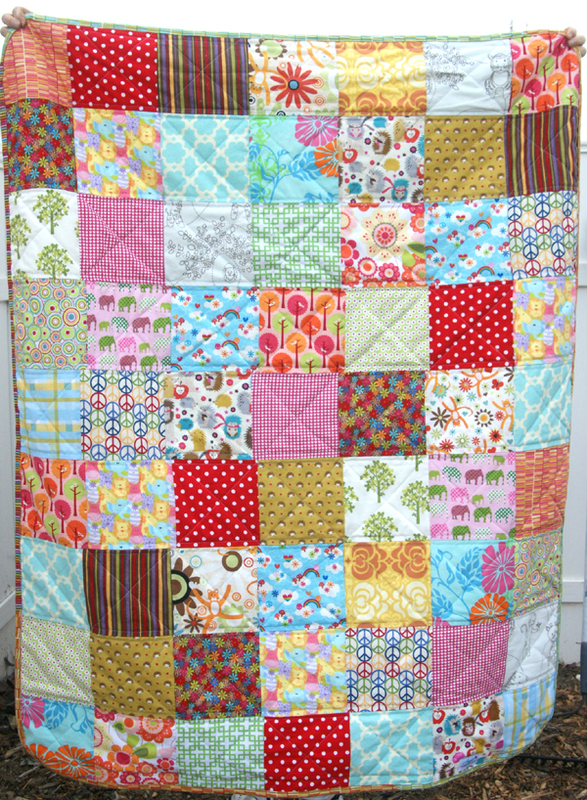 7 squares across and 9 squares down – this made the finished size of the blankets about 45″ x 58″, large enough for the growing girls (10 and 12) and their twin size beds. To round off the corners I traced around a side plate and trimmed. Easy! I do this for two reasons, 1. I like the look of rounded corners, 2. 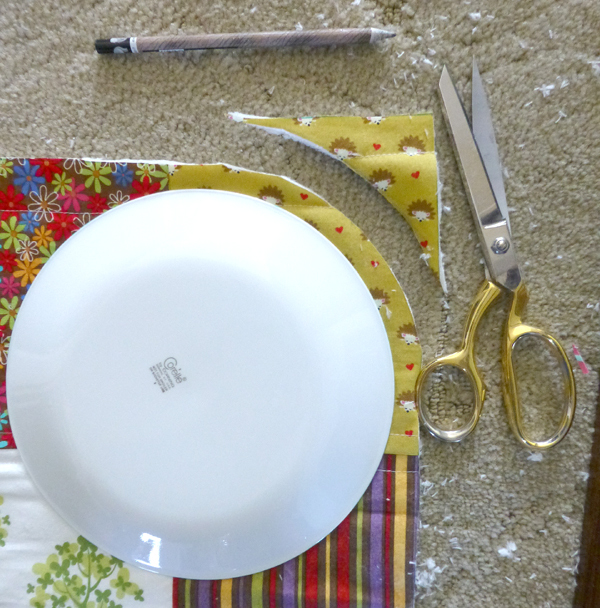 I don’t have to deal with mitered corners when sewing the binding! 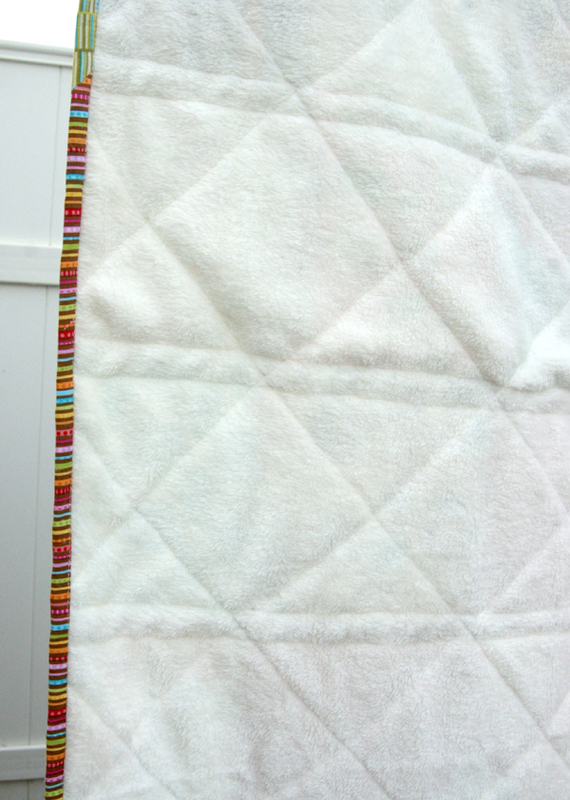 I also did not use any batting in the middle, instead I had found this ultra plush and luscious fleece at Joanns and just used that as the backing and then quilted simple horizontal lines and diagonals. The picture does not do it justice, it truly is super soft and smooth to the touch. 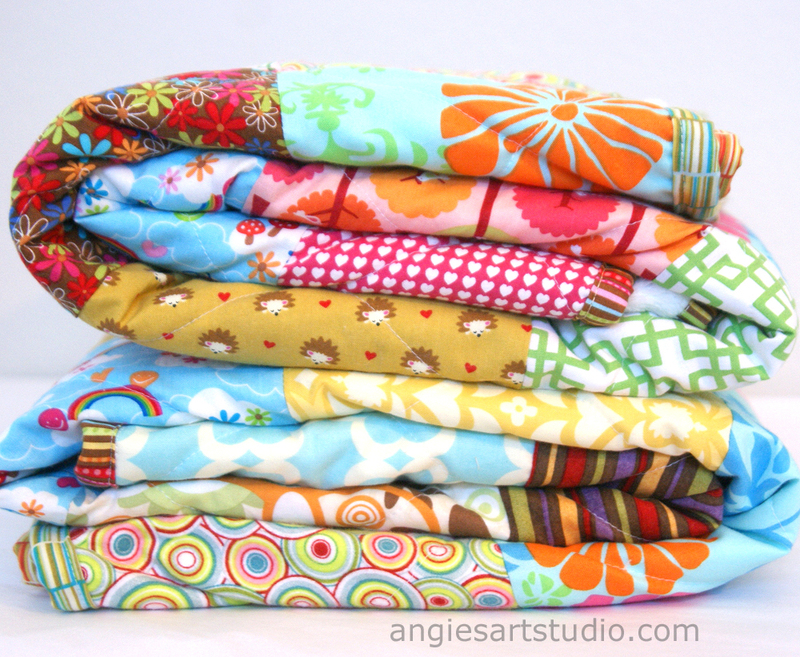 I was very pleased with how the patchwork blankets turned out and so were the girls! It makes me so happy to see them snuggled up with their blankets while we watch some of our favorite TV programs together. It was a very Merry Christmas indeed and I hope yours was, too!